SportsEngine and Hudl want to make it easier than ever for coaches to display video directly onto their websites for everyone to enjoy. Hudl is the industry leading software for video analysis used by high school teams to professional athletes and everything in between. It provides a place for athletes, coaches and recruits to view, manage and analyze video to help improve their game on the field or off. We all know that no great team or partnership can work if only one person or side is contributing. That's where we step in. Your website is the first place parents, fans and friends go to check out what is going on with their favorite team or player. There is no better place to showcase high quality video than right from your site. Game of the week videos are a great way to showcase a specific team within your organization. This is also a chance to have a local company sponsor the game of the week video that shows right on your home page. It adds awesome content to your site, while also bringing in revenue for your organization! 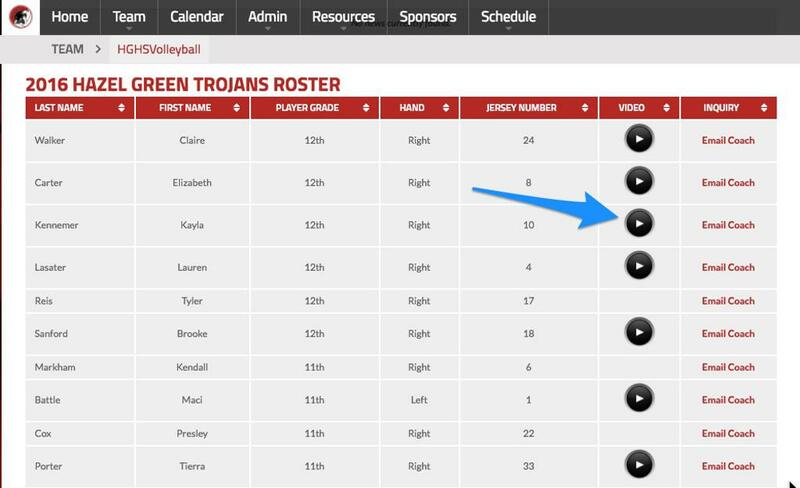 Every team within your organization already has a specialized Team Page where they can update schedules, scores and stats, why not give them the chance to add their own video as well? With Hudl, every team can show specific game footage for families and fans to enjoy. Worried about a rival team scouting you? Turn your page private and give permissions out to only those associated with your team. 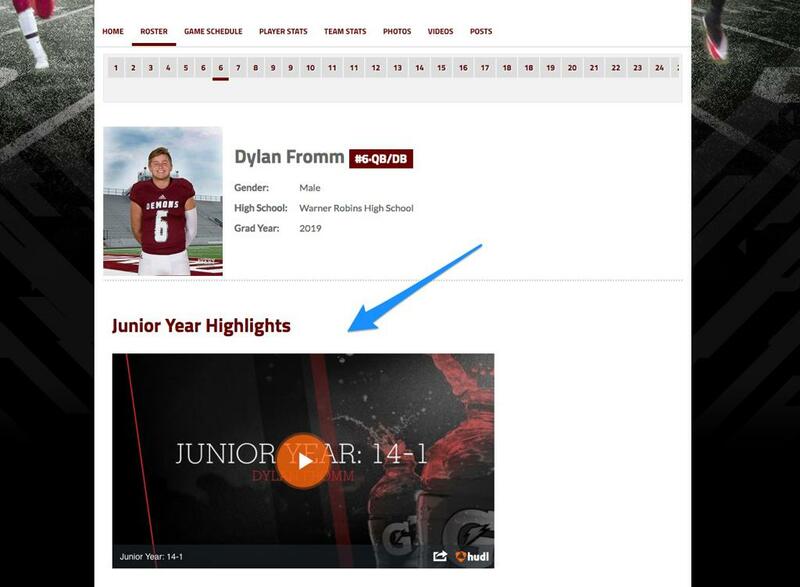 Every player has a profile page on your Hudl account that serves as a library of videos highlighting that specific player. SportsEngine allows you to link out to those pages right from the Team Page in an easy to read table view. 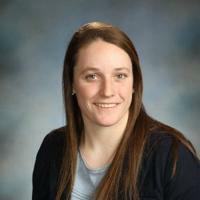 Rostered players on each Team have specialized profiles that display information and statistics from the season. This is a perfect place to add season highlight videos. Fans, families and friends all benefit with a single place to find out everything they want to know about their favorite player. 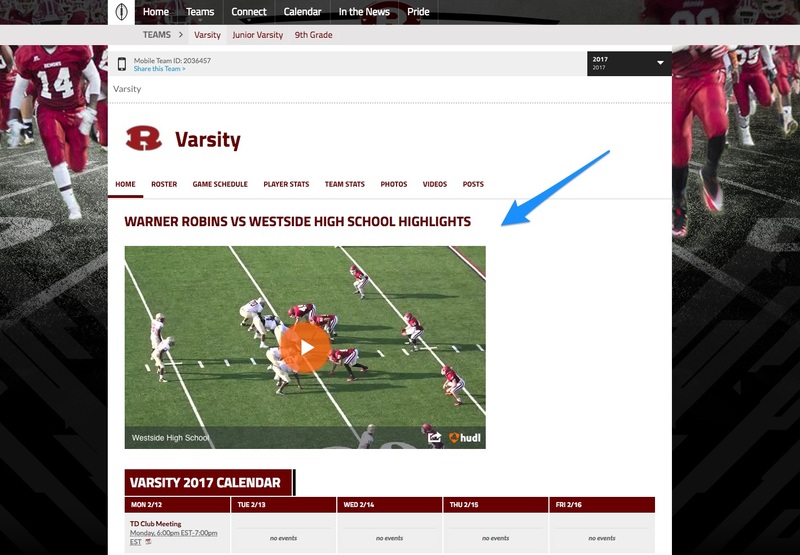 Include a roster variable that will give you the ability to add the custom Hudl link to direct them to more videos on their athlete. Interested in adding Hudl to your site? Here are a couple of helpful links to get you on your way.